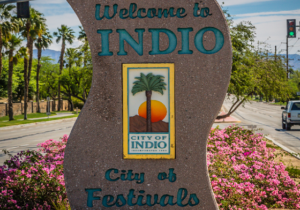 INDIO, CA – Personal finance website WalletHub has just released its 2018 rankings for the Fastest Growing Cities in America and the City of Indio makes the Top 30 list. 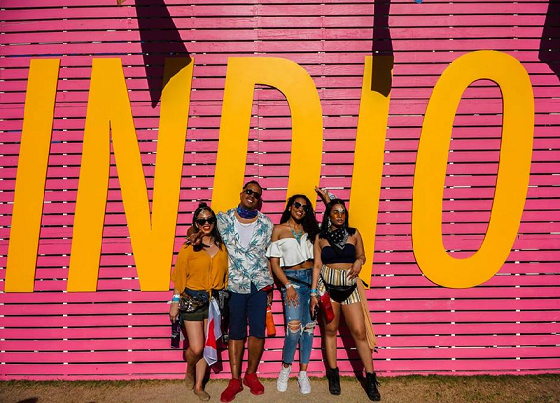 Indio is also the 8th Fastest Growing City in California, and 3rd Fastest Growing City in Southern California behind only Irvine and Santa Clarita. WalletHub applies 15 relevant metrics to evaluate cities across the nation including growth in population, jobs, income, business startups, and building permit activity. Indio is also ranked the No. 1 City in the U.S. for Live Music by Matador Network, No. 2 Top Emerging Travel Destination in the U.S. by Trivago, and has the unique distinction of being home to the No. 1 Best Places to Eat in the U.S. by Yelp, TKB Bakery & Deli. The Desert Valley Building Association’s most recent 2018 data continue to show Indio with the most residential building permits issued in the Coachella Valley with more than 3,500 housing units planned or under construction. The number of households in Indio has increased by 90% since 2000. Indio remains one of the most popular cities for Canadian homebuyers. Indio is the only city in the Coachella Valley with two high schools. A new elementary school in north Indio opened this year to accommodate the city’s growing number of families. Nearly a third of Indio’s residents are under 17 years old. Approximately, 6,057 business licenses and 20,437 business license renewals have been issued since 2014. Indio has the 3rd largest retail sales volume in the Coachella Valley according to Coachella Valley Economic Partnership, and Indio retail sales have increased by 33% since 2009. New retail, restaurant and hotel developments are also underway at Indio’s major centers – Indio Grand Marketplace (formerly Indio Fashion Mall), The Palms, Showcase at Indio, and Indio Towne Center. The Downtown is transforming with College of the Desert’s expansion; opening of the Loma Linda University Children’s Health; and new shows and attractions at the Coachella Valley Art Center, Coachella Valley History Museum, and Indio Performing Arts Center. A Request for Qualifications for a master developer for downtown Indio was issued in August and proposals are currently being reviewed. To purchase tickets to Indio’s State of the City Address on October 26, 2018, at Fantasy Springs Resort & Casino, go to the Greater Coachella Valley Chamber of Commerce’s website at www.gcvcc.org. To see WalletHub’s fastest growing cities rankings, go to www.wallethub.com/edu/fastest-growing-cities/7010/. Tacos, Tequila, & Chavelas This Weekend!